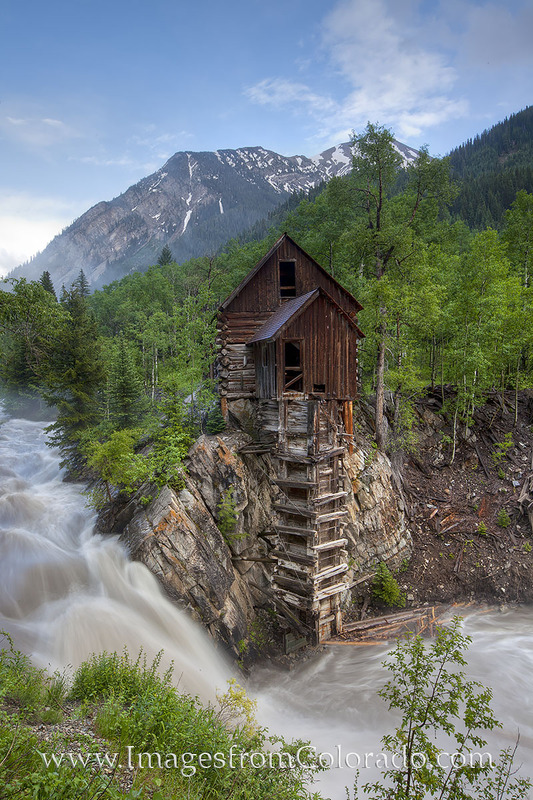 As one of Colorado's photographic icons, the Crystal Mill sits precariously along the banks of the Crystal River. Here, the Crystal River roars around the bend after melting snow swells the river. The 4WD road to reach this location is a little iffy, but worth the drive for views such as this. Photo © copyright by Rob Greebon.